Tractor-trailers. Tractor-trailers, also known as 18-wheelers, semis and big rigs, are designed to haul cargo and deliver almost 70% of all freight transported in the U.S. These trucks have a high center of gravity and are prone to rolling over, especially on curves when traveling at a high rate of speed. Tractor-trailers have considerable blind spots where the truck driver is unable to see surrounding traffic. Also, drivers put in long days and nights behind the wheel that can result in drowsy driving. Tanker trucks. A tanker truck hauls liquids or gases. Some of them contain harmless materials like pool water or milk, but often they are transporting hazardous substances including gases, flammable liquid, and radioactive and corrosive materials. These trucks are prone to rollovers, which can release dangerous toxic fumes or flammable substances. Flatbed trucks. A flatbed is a type of tractor-trailer with an open cargo area. Accidents can happen if the cargo is not properly secured - shifting loads can make the truck unstable or the load itself can fall onto the highway. Dump trucks. Dump trucks often carry dirt, sand and gravel for construction projects and can weigh up to 80,000 pounds. Some can carry up to 280,000 more pounds, making them extremely hazardous in an accident. Dump trucks also have large blind spots. Garbage trucks. Unlike many other types of large trucks, waste removal trucks operate in residential neighborhoods and so can cause pedestrian, bicyclist and car accidents. Any car vs. truck accident can result in devastating physical injuries, and even death, to occupants of the smaller vehicles. Truck drivers, owners and trucking companies may be liable for an accident because of negligence, for example improperly trained drivers, defective rigs or improper loading. 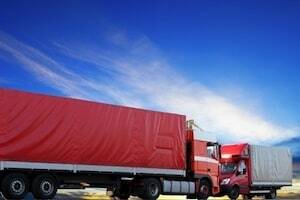 A vehicle or parts manufacturer and cargo loader may also be found negligent too. If you or a family member has been involved in a truck accident or car accident, or any other type of personal injury, please contact the Law Offices of Diana Santa Maria, P.A. immediately. Our experienced attorneys will fight for the compensation you deserve. Please call us for a free consultation. Attorneys Diana Santa Maria and Laura D. Dolin, personal injury attorneys in Fort Lauderdale, will fight to secure justice for you and your family. You can reach us at (954) 434-1077 or contact us via the website.